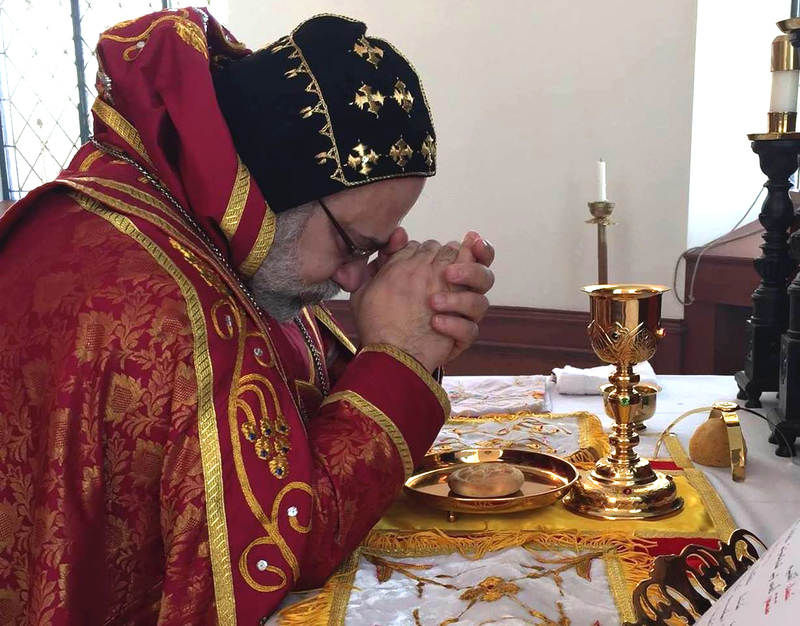 On Saturday, September 15, 2018, His Eminence Archbishop Mor Dionysius John Kawak was invited to attend the Consecration of the Baptistry, the Altar, and the icons of The Holy Family Coptic Orthodox Church of Boston (Attleboro), celebrated by His Holiness Pope Tawadros II. During the Liturgy, His Eminence and the clergy participated in the Holy Liturgy and chanted the Lord’s Prayer in the Syriac Language. His Eminence was accompanied by Rev. Father Anton Sabha, Pastor of Saint Matthew’s Church of Boston, MA, V. Rev. Father Augeen Alkhouri, Pastor of Saint Mary’s Church of Shrewsbury, MA, and Rev. Father Alan Shaltan, Pastor of Saint Ephraim’s Church of Central Falls, RI.